U.S. Representatives Mark Pocan (WI-02) & Charlie Rangel (NY-13), lead sponsors of the bipartisan “Restore Honor to Service Members Act,” commended the introduction of this bill in the U.S. Senate by Senators Brian Schatz (D-HI) & Kirsten Gillibrand (D-NY). The “Restore Honor to Service Members Act,” which Pocan & Rangel introduced in the House in July, would instill the repeal of “Don’t Ask Don’t Tell” into law & ensure that gay & lesbian veterans who were discharged from the military because of their sexual orientation receive the honor & recognition they deserve. Pocan & Rangel stated, “We applaud Senators Schatz & Gillibrand for introducing the “Restore Honor to Service Members Act” in the Senate & standing up for our gay & lesbian veterans. This bill would close the book on “Don’t Ask Don’t Tell” & provide tens of thousands of gay veterans, who selflessly risked their lives for our nation. Our bill already has the support of more than 140 House members & we look forward to working with Senators Schatz & Gillibrand to ensure it can pass Congress and get to the President’s desk.” Since World War II to the repeal of “Don’t Ask Don’t Tell” in 2011, approximately 114,000 service members were discharged because of their sexual orientation. Every form of discharge previously given out prior to the repeal of “Don’t Ask Don’t Tell” carries with it consequences that can follow a service member for his or her entire life. 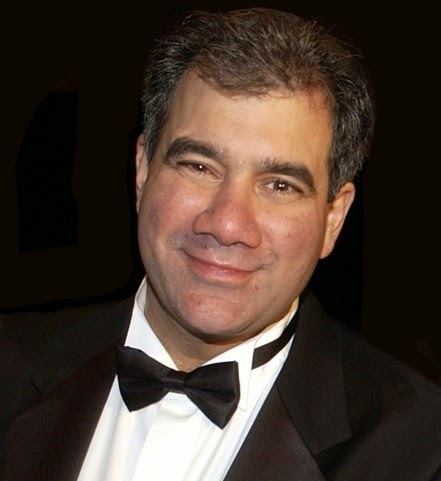 While the characterization of the discharges varied, many members received discharges that were classified as "other than honorable" or "dishonorable", particularly prior to the implementation of the “Don’t Ask Don’t Tell” policy in 1993. In many states a dishonorable discharge is treated as a felony & service members receiving a "general discharge", a lesser offense, can encounter grave difficulties acquiring civilian employment. All were barred from reenlisting in the military. Depending on the discharge received, service members may also be blocked from voting, unemployment benefits, participating in the GI Bill or receiving veteran benefits such as health care, VA disability & ceremonial burial rights at military cemeteries. It’s that time of year when the Gay & Lesbian Alliance Against Defamation (GLAAD), the nation’s LGBT media watchdogs announce the nominees for its 25th Annual GLAAD Media Awards. 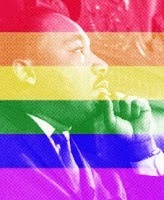 This is in recognition for outstanding images of our LGBT community in the entertainment & media industry. 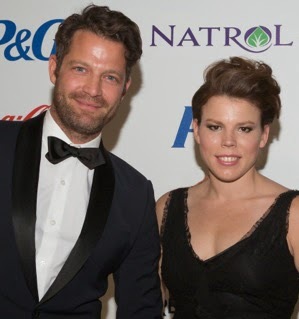 Sarah Kate Ellis GLAAD President stated, "Since its inception 25 years ago, the GLAAD Media Awards have reshaped the news & entertainment industries, inspiring thoughtful and inclusive characters & plotlines that have driven equality forward. This year has brought momentous progress for LGBT people & families - & our nominees have created images & stories that continue to challenge misconceptions, shatter stereotypes, & change hearts & minds of millions all across the globe." Among the nominees are: Netflix's smash hit Orange is the New Black; ABC Family's The Fosters, BBC America's Orphan Black; HBO's Behind the Candelabra starring Michael Douglas & Matt Damon; Blue Is the Warmest Color, winner of the Palme d'Or at the 2013 Cannes Film Festival; Dallas Buyers Club; Kill Your Darlings, starring Daniel Radcliffe & Dane DeHaan; Call Me Kuchu & God Loves Uganda, both documentaries about LGBT people in Uganda; Bridegroom about Shane Bitney Crone & the death of his partner; interviews with NBA players Jason Collins & Kenneth Faried on Oprah's Next Chapter & E:60 respectively; Ariel Levy's profile of Edie Windsor in The New Yorker; MSNBC's Melissa Harris-Perry; Huffington Post Live for its interview with Janet Mock & Laverne Cox & Lady Gaga for her ARTPOP album. 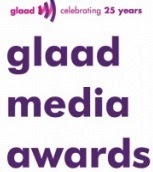 The GLAAD Media Awards ceremonies will be held in Los Angeles on April 12th at The Beverly Hilton & we’ll be in in New York on May 3rd at the Waldorf Astoria New York to cover the RED Carpet for OUTTTAKE VOICES™. Last night it appeared that President Obama who is dealing with a 37% approval rate stayed clear of our LGBT issues in his State of the Union Address. Instead our LGBT community barely got a mention stating, "...across the country, we're partnering with mayors, governors & state legislatures on issues from homelessness to marriage equality." Though he did deal with employment issues he avoided any mention of the Employment Nondiscrimination Act (ENDA) that would protect millions of LGBTQ workers from being harassed, discriminated against or fired in many states based on their sexual orientation or gender identity. Though ENDA passed through the Senate last November, it's stagnant in the anti gay Republican majority House of Representatives. 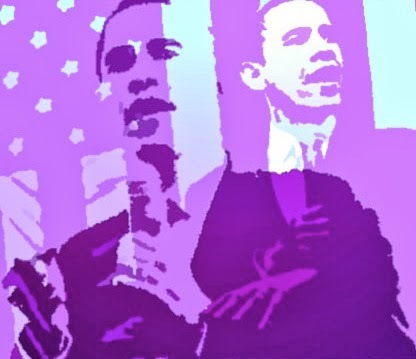 Obama could pass ENDA by using "executive actions" to push through changes that can't be cleared in a Congress controlled by the opposition by declaring a policy of non-discrimination in federal employment practices but he's yet to do so. Chad Griffin Human Rights Campaign President stated, “The president’s message tonight failed to address the needs of LGBT workers looking for a fair shake in this economy. 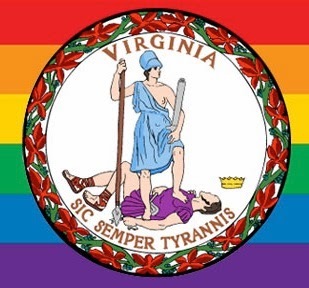 Not only was there no call for the House to pass a federal law to protect LGBT workers nationwide, President Obama also sidestepped his commitment to take action where Congress has left off, leaving out an order prohibiting discrimination by federal contractors." The other LGBT notable mention was by first lady Michelle Obama who invited Jason Collins, the first openly gay active NBA player to sit in her box. 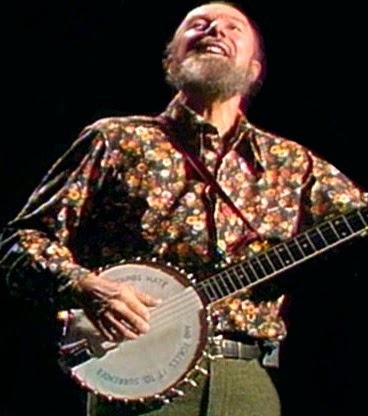 Pete Seeger Rest In Peace…. Equality Florida Institute & six gay & lesbian couples filed a lawsuit Wednesday in Florida state court in Miami seeking the freedom to marry. 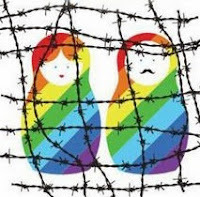 The lawsuit argues that Florida’s laws barring gay & lesbian couples from marriage violate the United States Constitution by denying them the legal protections & equal dignity that having the freedom to marry provides. The couples are from Miami & the surrounding area. 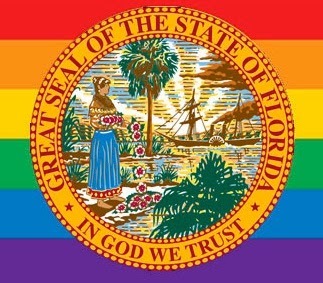 Nadine Smith Equality Florida Institute Chief Executive Officer stated, “Today the majority of Floridians stand with us as we take this historic step toward marriage equality in the Sunshine State. These couples have been embraced by their families & communities, but every day, Florida laws are denying them the protections & dignity that every family deserves. These harmful laws are outdated & out of step. 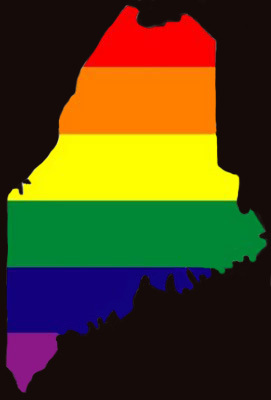 It is time for all families in our state to have full equality under the law.” Four of the couples are raising children & another couple has an adult child & two grandchildren. The couples are: Catherina Pareto & Karla Arguello, Dr. Juan Carlos Rodriguez & David Price, Vanessa & Melanie Alenier, Todd & Jeff Delmay, Summer Greene & Pamela Faerber, & Don Price Johnston & Jorge Isaias Diaz. 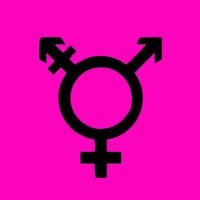 They’re represented by the law firm Carlton Fields Jorden Burt, attorney Elizabeth F. Schwartz, attorney Mary B. Meeks & the National Center for Lesbian Rights (NCLR). While our LGBT community strives for equality a new study conducted by the Spectrem Group out of Chicago has been released examining our community’s investing practices. Especially focusing on wealthy LGBT investors. They find that when it comes to investing & financial planning we’re more conservative & more satisfied with our financial planners & advisors than heterosexual investors. Many affluent LGBT investors also feel that their legal & advising needs are not well understood by mainstream society & we prefer LGBT professionals who understand our needs. Wealthy LGBT investors are also more worried about receiving help & advice than non-LGBT investors & more likely to seek it. 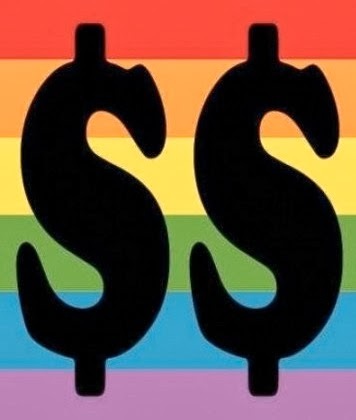 George H. Walper, Jr., President of Spectrem Group stated, “At first glance, the profile of the affluent LGBT investor is similar to the wealthy non-LGBT investor. But there are key differences. Wealthy LGBT investors tend to have less diversified portfolios, while demonstrating higher social media use & a preference for conservative investing. Wealthy LGBT investors also have unique needs regarding their trust & estate planning. They want to work with professionals who are familiar with their financial challenges, whether those professionals are attorneys, financial planners, bankers or financial advisors.” Study respondents were affluent LGBT investors with $100,000 to $25 million in net worth, NIPR & were broken into three wealth segments: Mass Affluent, Millionaire & Ultra High Net Worth. Research was fielded in fall 2013 & sponsored by a number of financial firms including Lincoln Financial Group, Morgan Stanley Wealth Management, RBC Wealth Management, U.S. Trust, Bank of America Private Wealth Management & Vanguard. At the 2nd Annual "Gold Meets Golden" Event A-List celebrities celebrated the best of sport, film & television at the ultimate intersection of Olympic athletics & Hollywood. Held within the NBC Universal Golden Globes After Party the event was attended by celebrities including; Hayden Panettiere, Kerry Washington, Chris Hemsworth, Sofia Vergara, Matthew McConaughey, Jessica Chastain, Jason Collins, Nate Berkus, Seth Meyers, Frank Marshall & Ryan Kavanaugh who all celebrated with the Olympians. Some of the highlights of the event included Taylor Swift chatting with to-be Sochi Olympic freeskiier Nick Goepper about their mutual love for downhill speed; Sofia Vergara asked advice from her family on how to spell "Olympians" as she wrote a message of support to the Sochi team; Kerry Washington telling Nadia Comeneci, Mary Lou Retton, Greg Louganis & Jackie Joyner-Kersee that they were inspirations in her life & career; Mike Tyson & Orlando Bloom holding & inquiring about Olympic medals brought to the carpet by Tim Morehouse; a red-carpet reunion of Greg Louganis & Mario Lopez who once portrayed him in his life story; Jimmy Fallon exclaiming that the "Olympians are Awesome!" on the red carpet, Seth Myers delivering a heart-felt message to the athletes of the Sochi 2014 Games which he said he will also be attending in February. United for Equality in Sports & Entertainment (UESE) equality champions Jason Collins, Nate Berkus & Caitlin Cahow, Olympian & Presidential select U.S. Delegate to Sochi Winter Olympics chatted with David McFarland Founder & CEO of the LGBT org about the state of Equality in Sports. 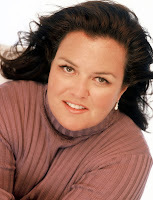 Rosie O’Donnell is performing at The Wilbur Theatre in Boston on Friday, January 24th at 7:30P. 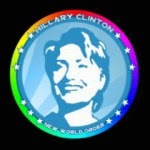 The Emmy Award-winning comedienne has devoted much of her time & money toward philanthropic causes including gay rights. When Rosie debuted on The Rosie O’Donnell Show in 1996, it wasn’t long before she was dubbed the “Queen of Nice” & started racking-up up Emmys. That’s the first time I met her at the Daytime Emmy Awards when they were in NYC. In 2002 Rosie decided to give up the talk show life & return to her first love, stand-up comedy. Her return to stand-up was a great success, though her tough style refreshingly replaced her “The Queen of Nice” persona. Then she had a heart attack in August 2012. When asked how that experience changed her life O’Donnell stated, “What’s interesting is that the doctor said, you know, you really have to be careful because after a major heart attack, a lot of people have depression. And I’ve struggled with depression my whole life, so I was kind of ready for that. But I found that the opposite happened – I had an awakening & a gratitude that I did not have before. I did not get depressed after the heart attack & the doctors were really, really worried & were watching me for that. I haven’t had depression at all after the attack & not that I’m saying it’s a remedy, but for me, it let me know that, wow, I really could have been done. And I am on “extended play,” like when you get the extra lap at the video game of the Grand Prix race car driver. That’s what I feel like — I’m on the extra lap. I’m happy that I got that chance. I feel like I cheated death & I kind of slid by, and I don’t know why. The nurse even said to my wife, who was asking her, “How’s she doing compared to people who have what she had?” And I was half-awake, half-not. And the nurse said, “Excellent.” And my wife said, “How do you know?” And the nurse said, “Because everyone else is dead.” Rosie married Michelle Rounds in 2012 & the couple adopted a baby girl a year ago. O'Donnell also has four children with her first wife, Kelli Carpenter. 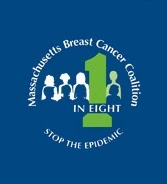 The Wilbur Theatre is located at 246 Tremont St. in Boston’s Historic Theatre District & tickets: $29-$59. Top Hollywood celebrities will host Olympic Legends at the second annual “Gold Meets Golden” event on Sunday, January 12th at the NBC/Universal Golden Globes Party in LA. United for Equality in Sports & Entertainment (UESE) the leading voice for achieving equality in sport & entertainment for LGBT (lesbian, gay, bisexual & transgender) athletes & artists, is proud to support “Gold Meets Golden” & the Olympic & Paralympic Teams headed to the Sochi 2014 Games as the organization recently did via the United Nations’ historical event “Sport Comes Out Against Homophobia,” which was held in 2013 on International Human Rights Day. UESE will also feature as their special guest openly gay basketball player Jason Collins. Hollywood has long been inspired by the Olympic sporting world & vice-versa, but rarely do these two worlds have the chance to mix & mingle. 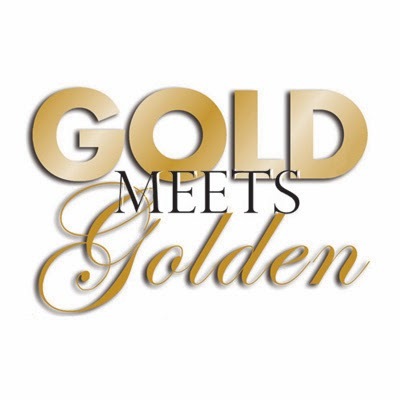 The second annual “Gold Meets Golden” Globes Event will be hosted by a variety of Hollywood elite who are passionate about the Olympic & Paralympic Games, including Frank Marshall, Kathleen Kennedy, Ryan Kavanaugh, Bradley Cooper, Mark Wahlberg, Sofia Vergara, Adrien Brody, Chelsea Handler, Kerry Washington, Owen Wilson & Hayden Panettiere. Sports legends Magic Johnson & Arnold Schwarzenegger will round out the experience by hosting a table within the Globe Awards for a variety of winter & summer athletes. The Hollywood team will join forces with popular & legendary Olympians including gymnasts Mary Lou Retton, Nadia Comaneci, Bart Conner, Gabby Douglas, Carly Patterson, Nastia Liukin & Jake Dalton; figure skater Sasha Cohen; speed skaters Apolo Anton Ohno, Bonnie Blair, Dan Jansen & Blake Skjellerup; track & field’s Bruce Jenner, Jackie Joyner-Kersee, Alyson Felix, Carmelita Jeter, Will Claye & DeeDee Trotter; diver Greg Louganis; swimmers Rebecca Soni, Eric Shanteau, John Naber, Jessica Hardy & Summer Sanders; water polo player Tony Azevedo; freeskier Nick Goepper; fencer Tim Morehouse; beach volleyball players Kerri Walsh Jennings, Misty May Treanor, April Ross & Jen Kessy & openly gay ice hockey player Caitlin Cahow who was recently announced as a member of President Barack Obama’s Presidential Delegation for the Opening Ceremony of the Sochi 2014 Olympic Winter Games.